A Holter monitor is a mobile EKG machine that reports a continual EKG for 24 hours. The Holter records its results on a tape which is sent off to a service who converts the information to a report. The test is easy, painless and inexpensive. Rio, Dylan & Zena are shown sporting the MHDPC holters and vests! 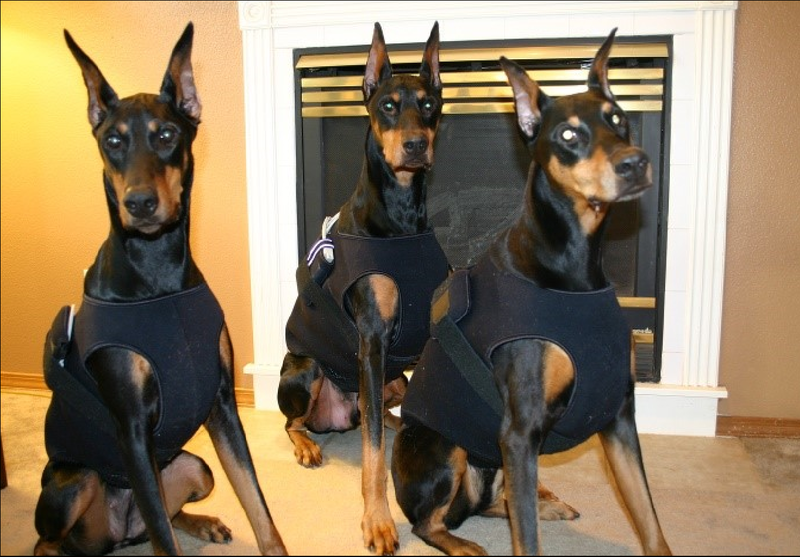 It is recommended that all Dobermans over the age of two have annual holter testing. Early detection of premature ventricular beats can ADD YEARS to the life of YOUR DOG. Finding this disease in its earliest forms is the key here. The dog’s birthday month works well by reminding the owner to do it each year. A clear holter report one year does not release the owner from future testings. These reports can and do change. With Doberman heart disease we need to test annually. Mt. 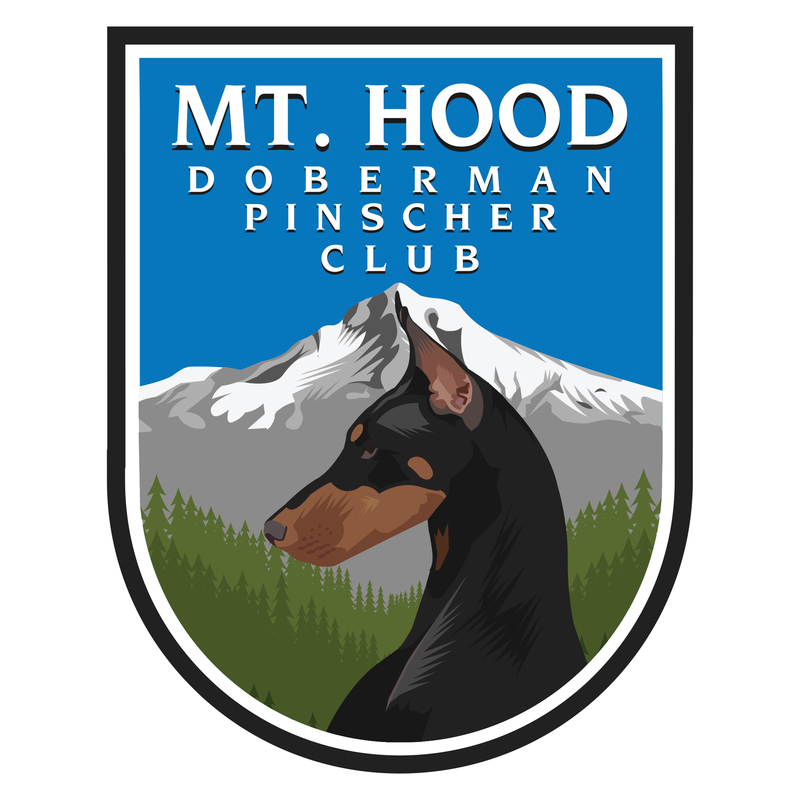 Hood DPC has a Holter Monitor that is available to MHDPC members only for member’s own dogs. MHDPC is very lucky to have it available to us. Contact us for more information.